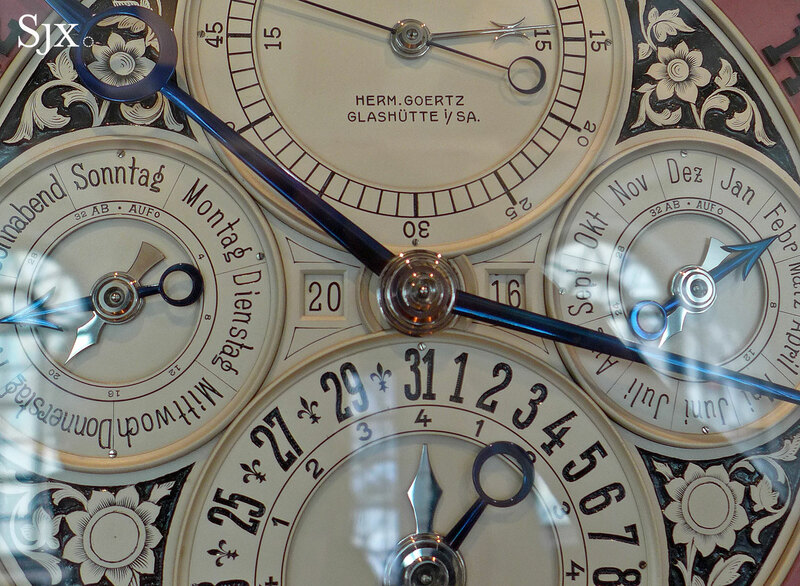 Horological history of Germany explained at the watch museum in the centre of Glashütte. A small town of about 7000 people in eastern Germany, 40 minutes by car from Dresden, Glashütte revolves around watches. Almost half of its population is employed in watchmaking, with most of the best known German watch brands, including Glashütte Original, Lange and Nomos, located within the town. Glashütte is arguably the place most crucial to German watchmaking, having been the birthplace of the industry as well as its most important brands. 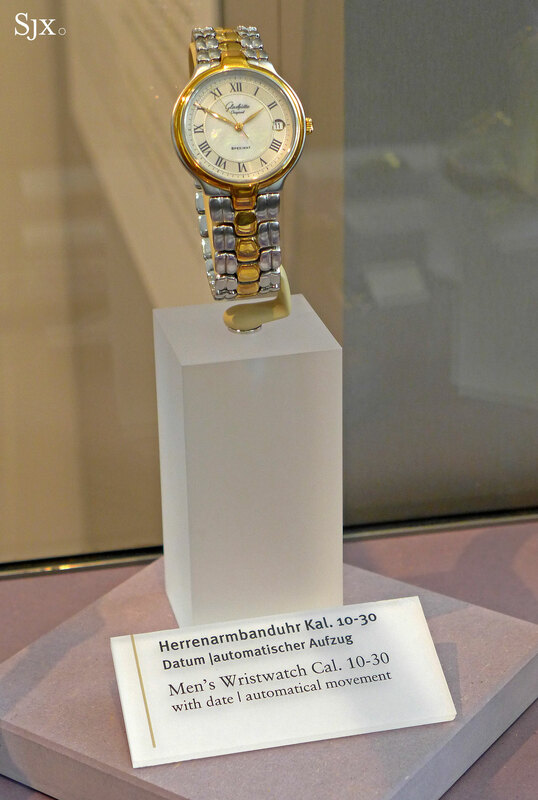 But because Glashütte was in East Germany when the country was partitioned post-WWII, the development of its watch industry slowed to a crawl – until the Berlin Wall came down and capitalism returned. Right smack in the centre of the town is the German Watch Museum, located inside the building that was once the town’s 19th century watchmaking school. 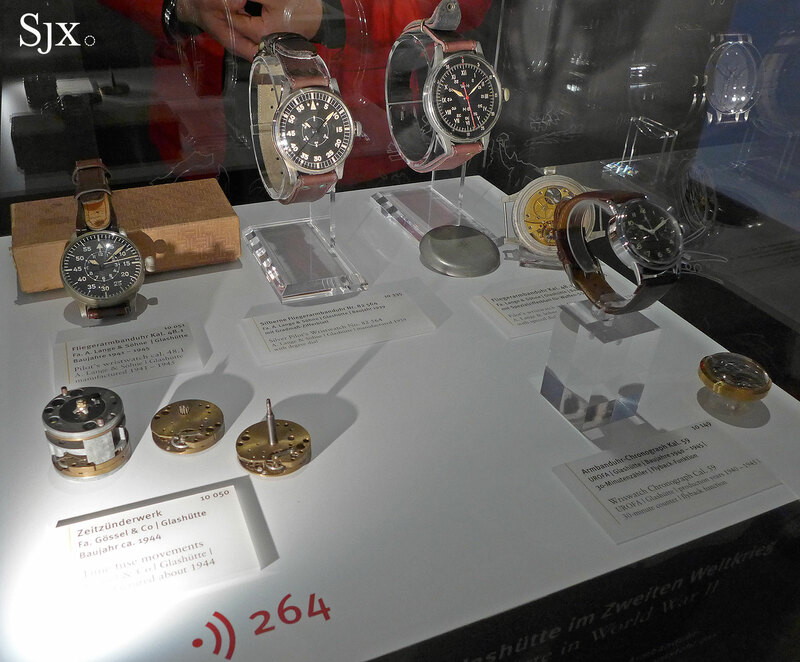 Founded in 2008, the museum is named after the founder of watch conglomerate Swatch Group, with its full name being German Watch Museum Glashütte – Nicolas G. Hayek. 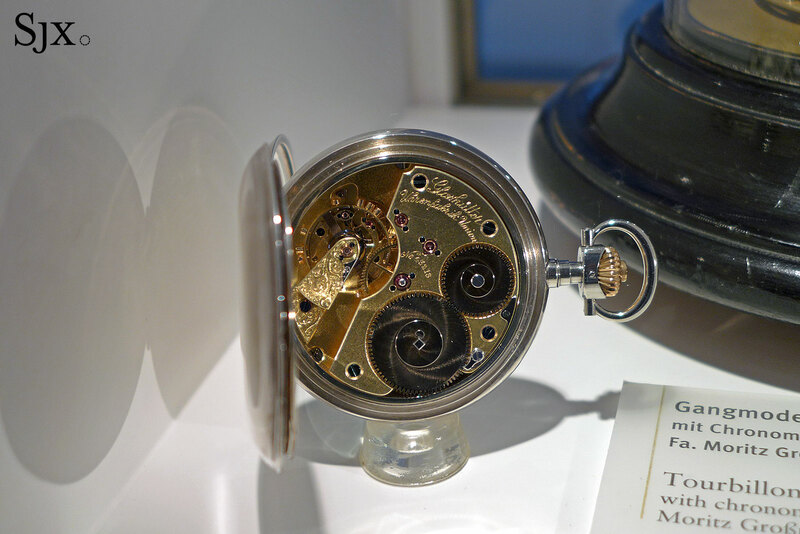 Though underwritten by Glashütte Original, which is owned by the Swatch Group, the museum is comprehensive, consistent and generous in explaining the history of watchmaking in the town. 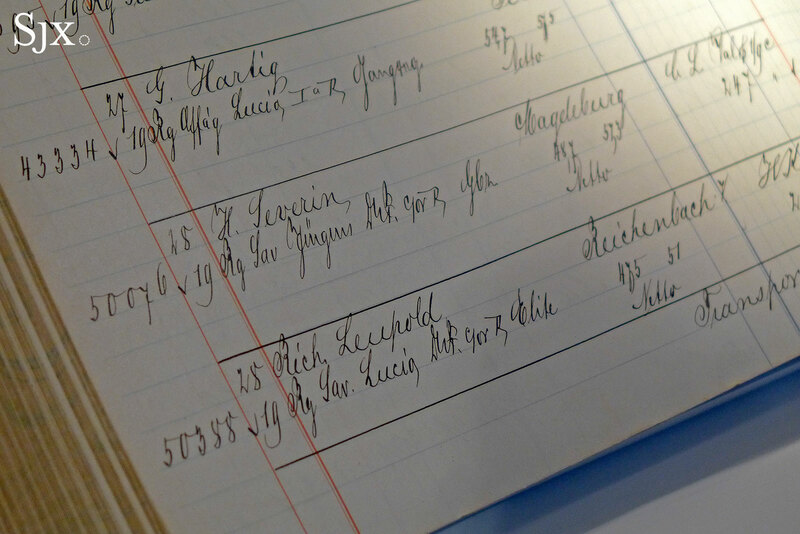 All of the town’s watchmakers are carefully described, with ample credit going to Ferdinand Adolph Lange, the founder of A. Lange & Söhne who played a crucial role in set Glashütte. Glashütte was founded in the 16th century as a consequence of the rich seams of silver in the area, but once the mines ran dry, watchmaking became the main industry of the town. The watch industry was built by four key personalities, Ferdinand Adolph Lange, Moritz Grossmann, Julius Assmann and Adolf Schneider, starting in the 18th century. 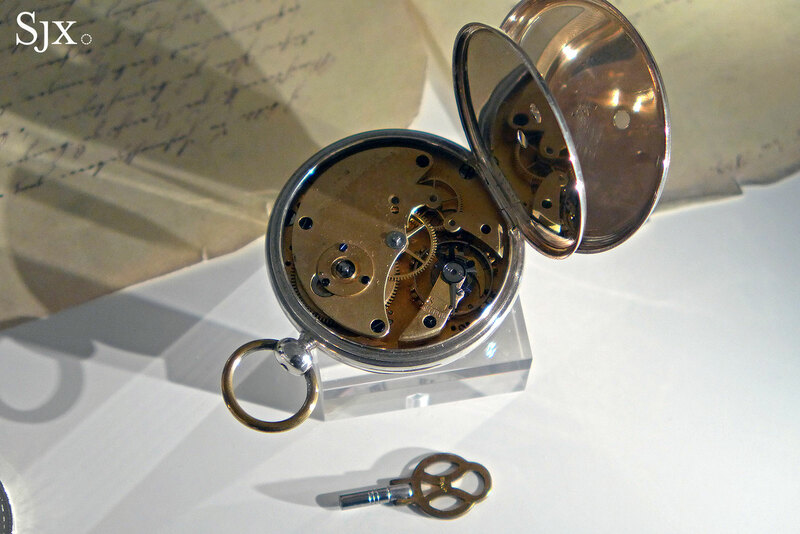 The museum covers German watchmaking from its very beginnings in the 17th and 18th centuries, when the Kings of Saxony were avid collectors of timepieces and instruments. But the action really starts in the 19th century, when Ferdinand Adolph Lange returned from his European tour, bringing home Swiss production techniques and an English movement style. 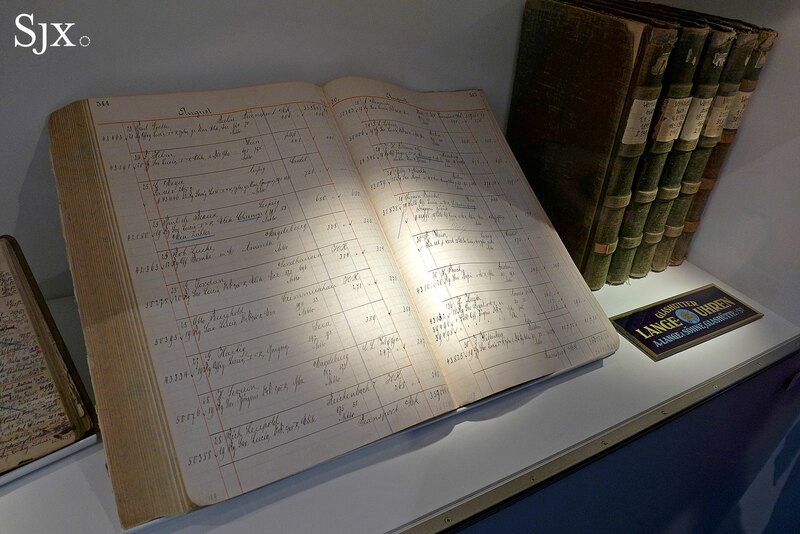 All of this is carefully charted out with chronological exhibits, which including many masterpieces of Glashütte watchmaking over the centuries. 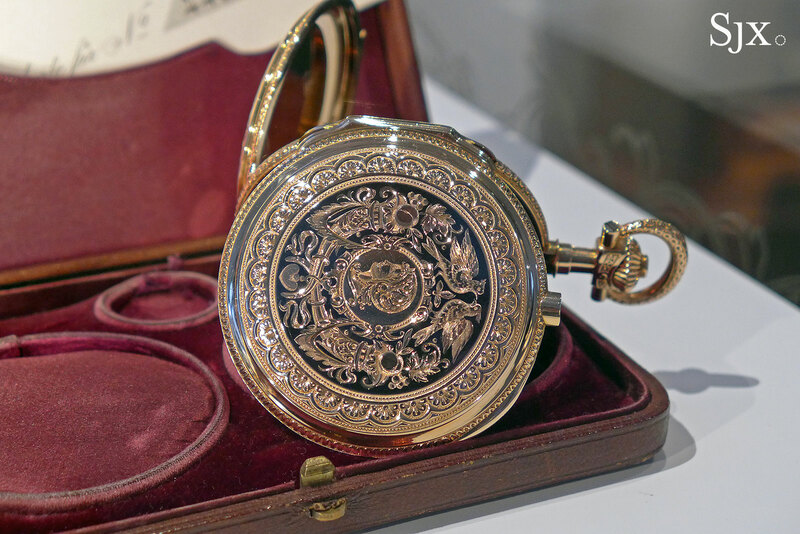 An early Adolf Lange pocket watch from about 1857 – just a decade after the company was founded – made in Glashütte revealing the crude construction that would eventually evolve into the familiar three-quarter plate. 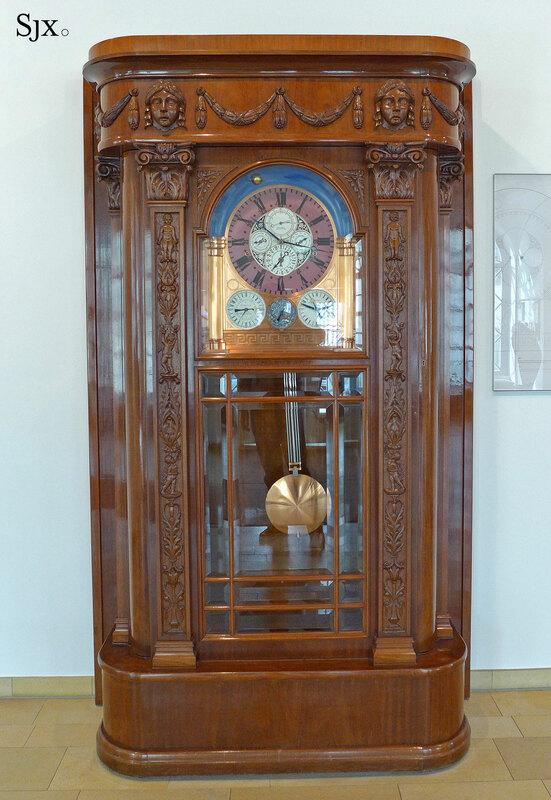 One of the most prominent is the towering astronomic clock by Hermann Goertz sitting in the lobby. The clock features a perpetual calendar programmed for one thousand years – complete with a four digit year display – as well as a star chart, sunrise and sunset indicator, all powered by a 1756-part movement. Even more extraordinary is the story of its creation: an epic, three decade journey across Europe. Goertz began the clock while Nicholas II was still the Tsar of Russia; when the clock was complete World War I was over. Goertz was born in 1862 what is modern day Poland, an area that was then part of Germany. He then moved to Berdansk in Ukraine, eventually marrying the daughter of a clockmaker. Having started the clock in the late 19th century, he had to flee during the 1917 Russian Revolution, carrying with him parts of the nascent clock, but forced to leave his family behind. By the time Goertz arrived in Glashütte, he was middle aged, becoming the oldest student ever to enrol in the watchmaking school. Goertz continued working on the clock over the decades, slowly but surely inching closer to completion. Goertz finally finished his gargantuan task in 1925, more than 30 years after he first started. Three years later the state of Saxony bought the clock and donated it to the watchmaking school, but Goertz continued to improve on it. Even after Goertz passed away, Alfred Helwig, a close friend and noted Glashütte watchmaker, continued working on the clock, installing the spherical moon phase in 1956. 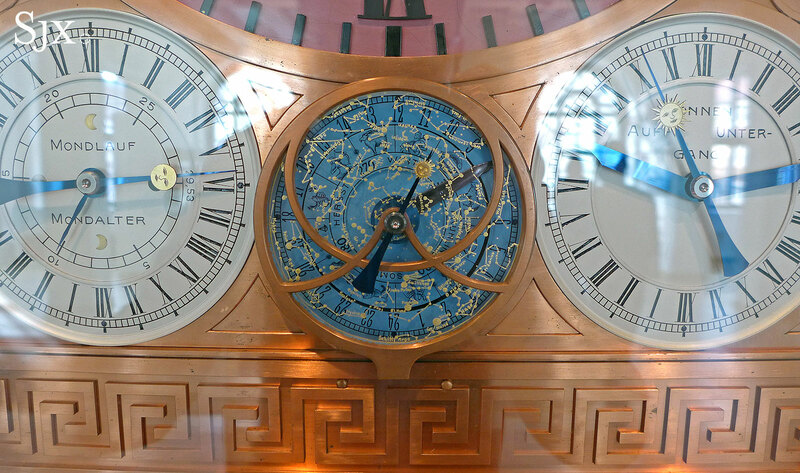 Since it was finished almost a century ago, the Goertz astronomic clock has been running nonstop, save for three intermissions for restoration, a tribute to Goertz’s tremendous work. Unlike museums that celebrate a glorious but bygone era, many of the exhibits in the German Watch Museum echo into modern watchmaking, reflecting the accomplished timekeepers made in Glashütte today. Many of the key names in Glashütte’s history have been revived, with the modern incarnations of old names all producing exemplary watches at diverse price points, from Nomos to Moritz Grossmann. 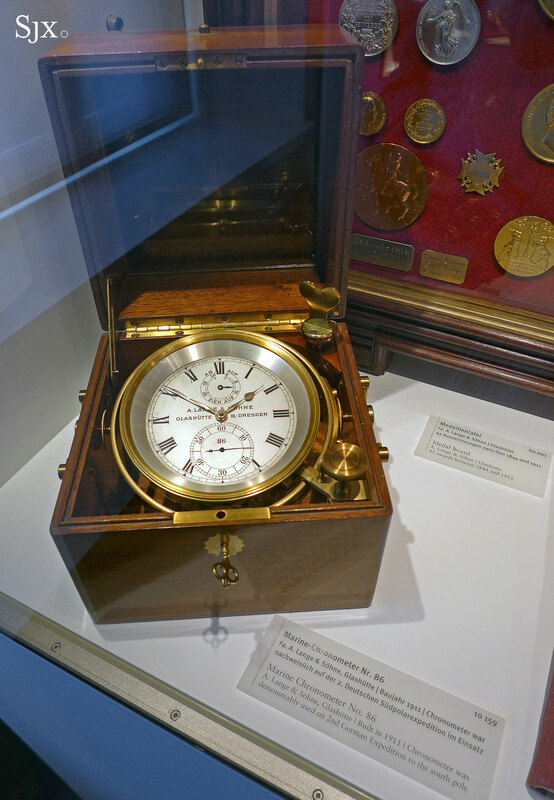 Also part of the museum’s exhibits are military timekeepers, most of which formed a vital part of the German watch industry at various points in the past. 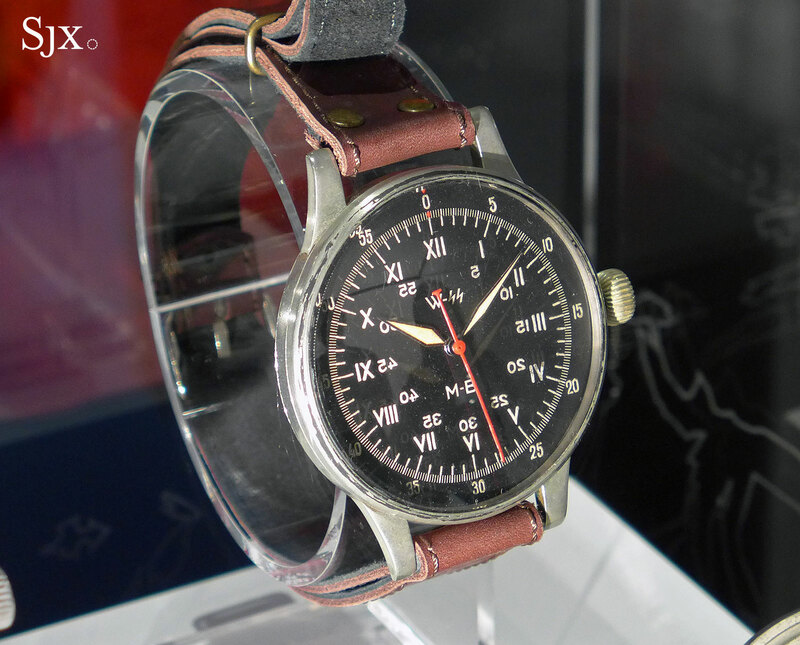 They range from pocket watches for the Kaiser’s navy to wristwatches from the more controversial Second World War, including a rare Waffen SS beobachtungsuhr (observer’s watch) for artillery officers with a mirror-image dial for photographic recording. 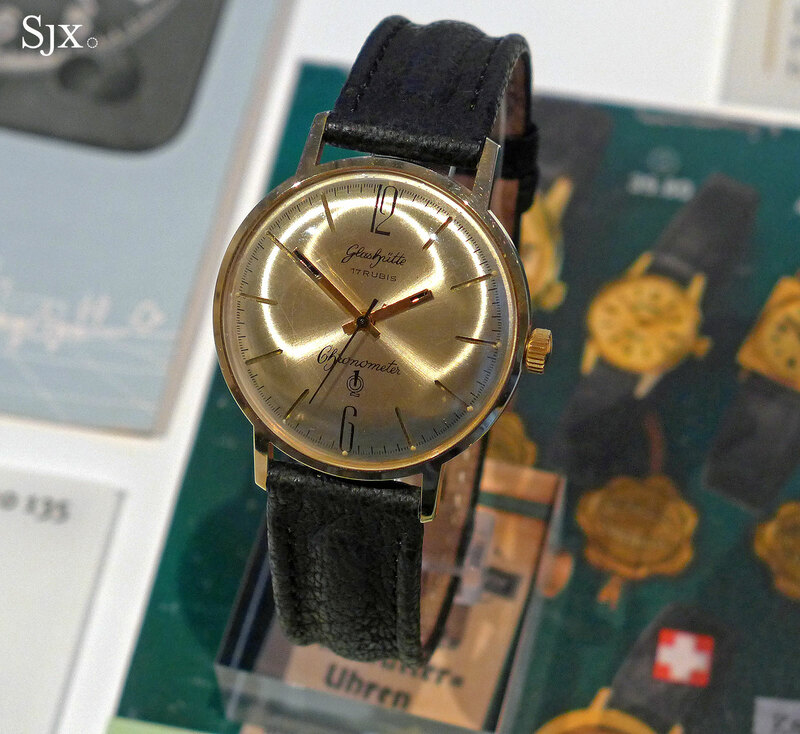 The most recent exhibits from before German reunification are the watches made by VEB Glashütter Uhrenbetriebe (GUB), the state-owned entity into which all of the town’s watchmakers were merged into after World War Two. 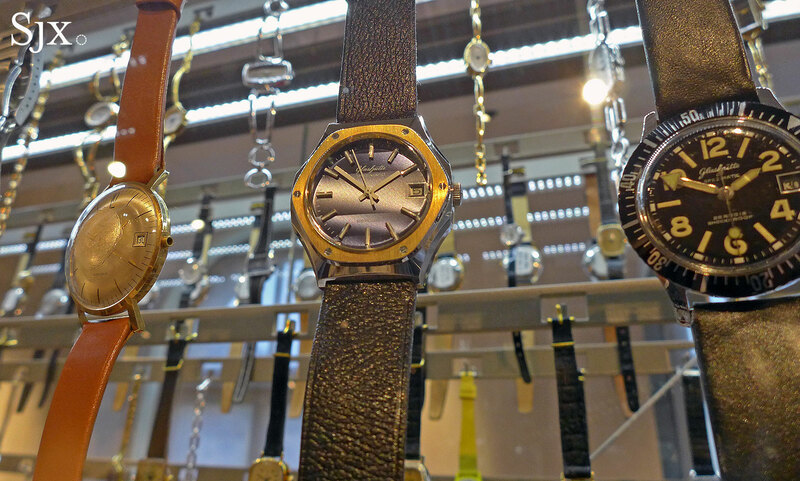 Though most GUB watches were basic, the range is dazzlingly diverse, with many having been exported to West Germany and sold in department stories like KaDeWe. Some are obviously the inspiration for Glashütte Original’s retro Senator Sixties, though others are comically old-fashioned by today’s standards. 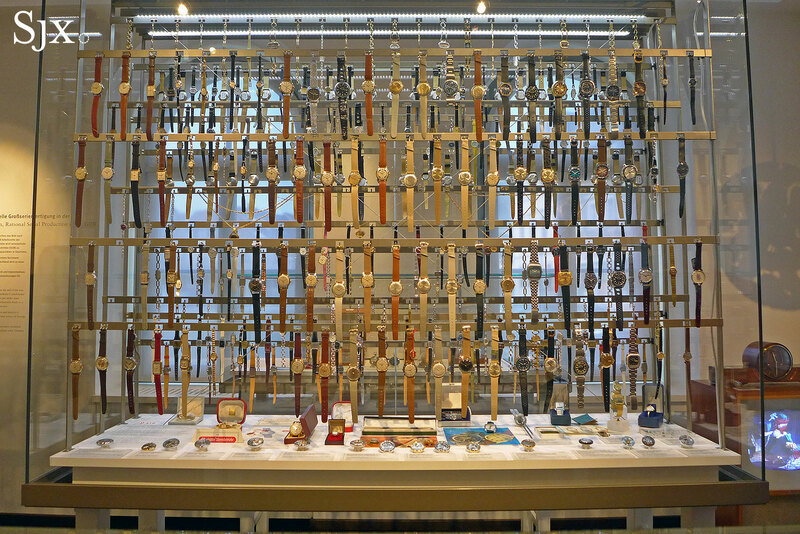 The German Watch Museum is not merely a repository of knowledge and artefacts – the very end of the museum tour brings a visitor to the restoration department. Though it is staffed by watchmakers from Glashütte Original, the department will overhaul and fix any timekeeper – pocket or wristwatches, as well as clocks – made in the town. 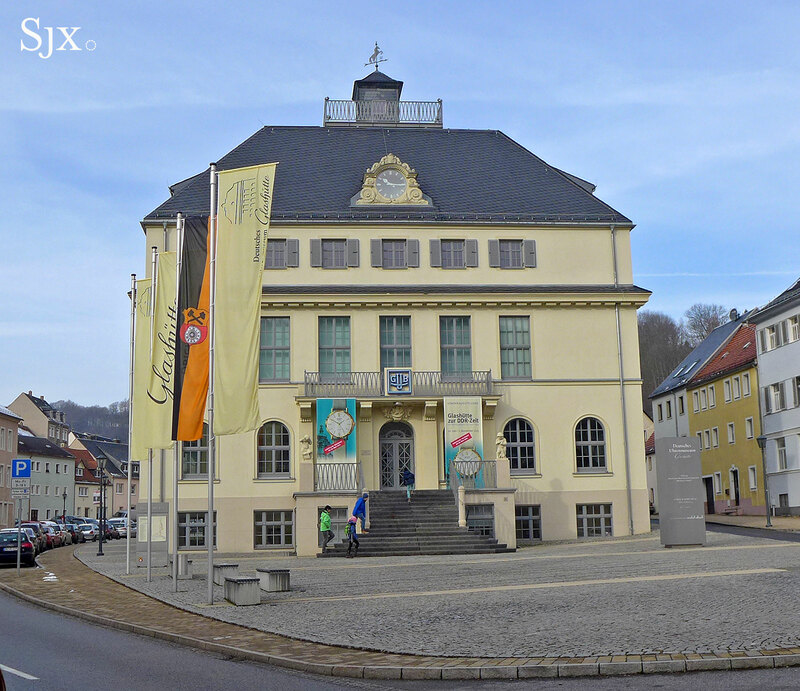 Because the German Watch Museum also possesses the historical records of the town’s watchmakers, it also offers certificates of authenticity and archive extracts for watches made in Glashütte, by both its watch brands as well as school students. The cost for a certificate is a modest €105, but access to the museum’s archives in its reading room is free. Adults tickets for the German Watch Museum cost €6 (about U$6.71), with free entry for children under six. There’s also an annual access card for €35. Update June 3, 2016: Additional photographs added. An exhibition dedicated to the revival of German watchmaking in post-war Glashütte during the years of the German Democratic Republic (GDR) has opened at the German Watch Museum Glashütte, courtesy of Glashütte Original.